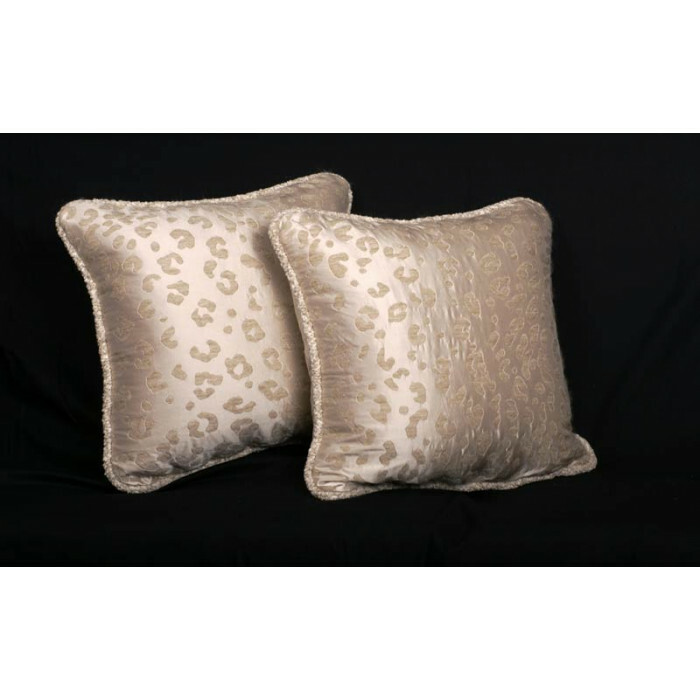 Kravet Couture Mohair and Silk Leopard Pattern Fabric with Lee Jofa Velvet, Stunning Animal Patterned Decorative Accent Pillows | Custom Made to your Desired Size and Trim. 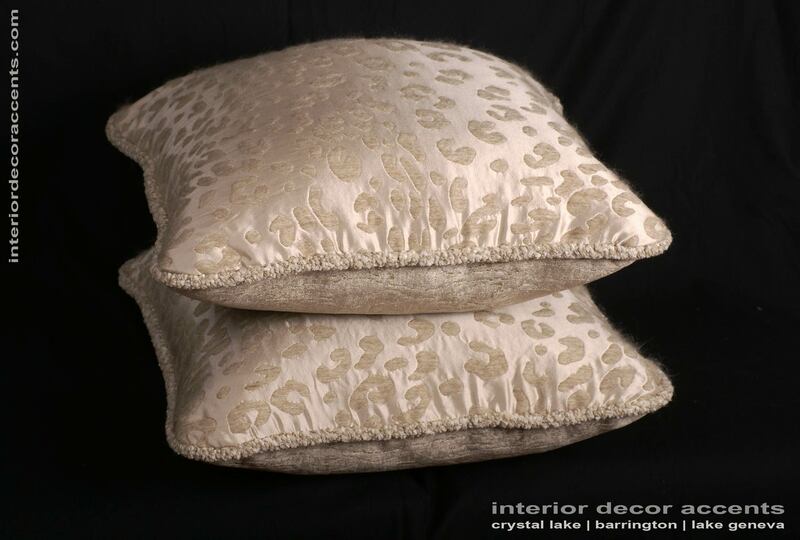 Discover luxury interior design through stunning and elegant heirloom quality custom made designer pillows crafted by Spiritcraft Design. 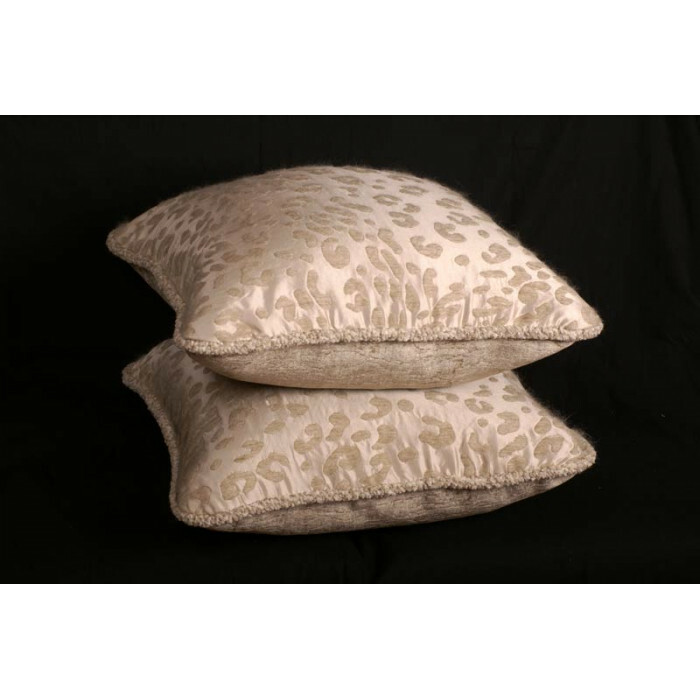 These decorative pillows in a unique and alluring Leopard woven jacquard fabric by Kravet Couture are elegant showpiece interior decor accents. 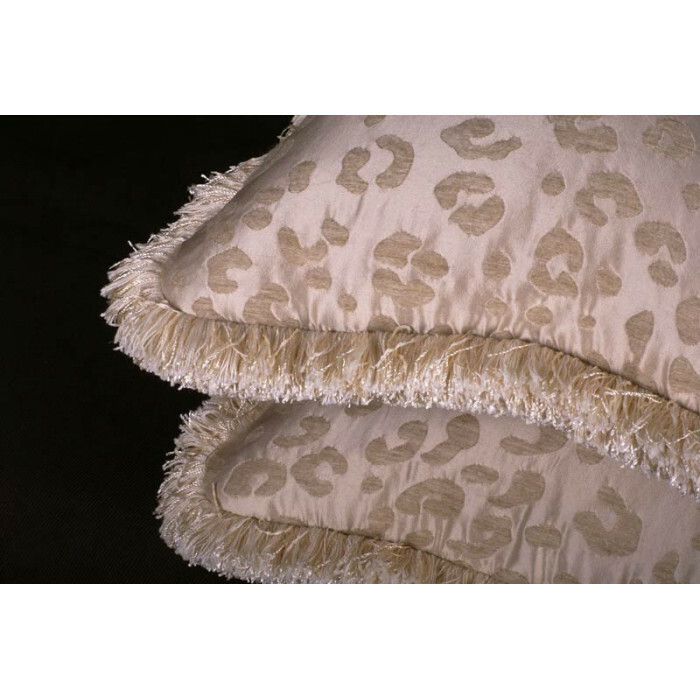 The luxurious facing fabric is an exceptionally made silk and mohair weave in an exquisite Leopard pattern. 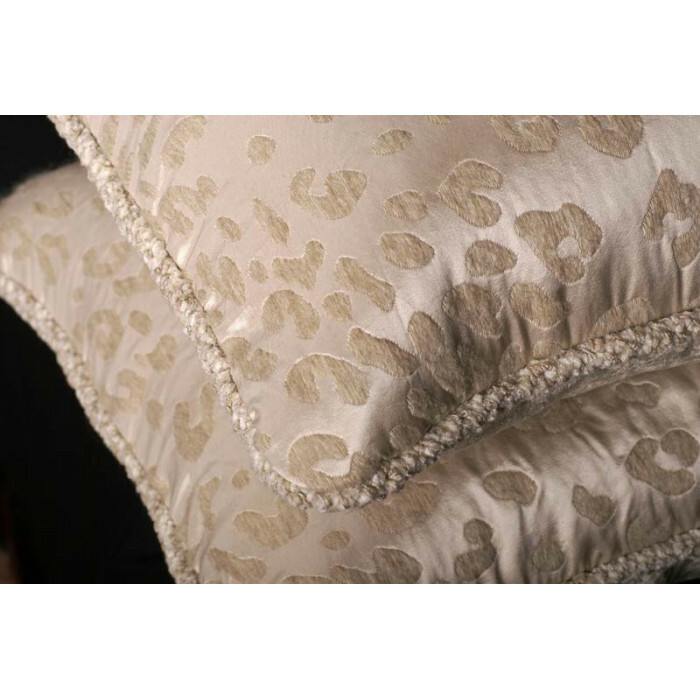 This lavish woven fabric is exquisite in detail, has a soft hand and is pure elegance. 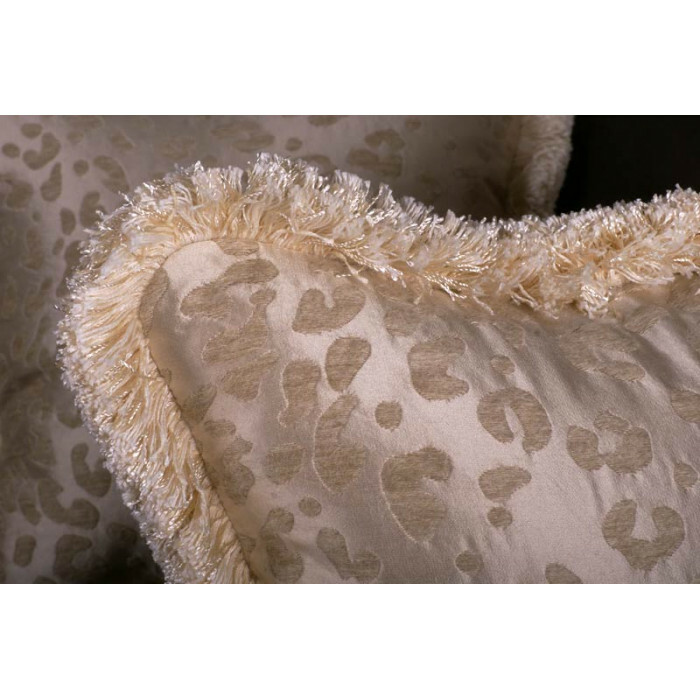 The complimentary Lee Jofa velvet is stunning and is am exceptional Belgian made fabric. Choose either a perfectly matched Kravet Design cord or brushed fringe trim to customize these pillows to your decor style. 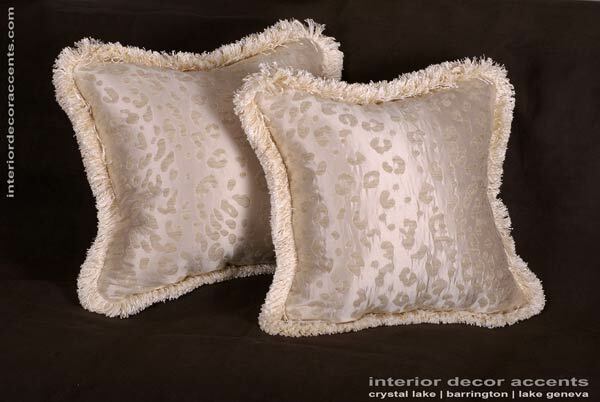 Select pillow insert options to further personalize this pair of matching decorative pillows. 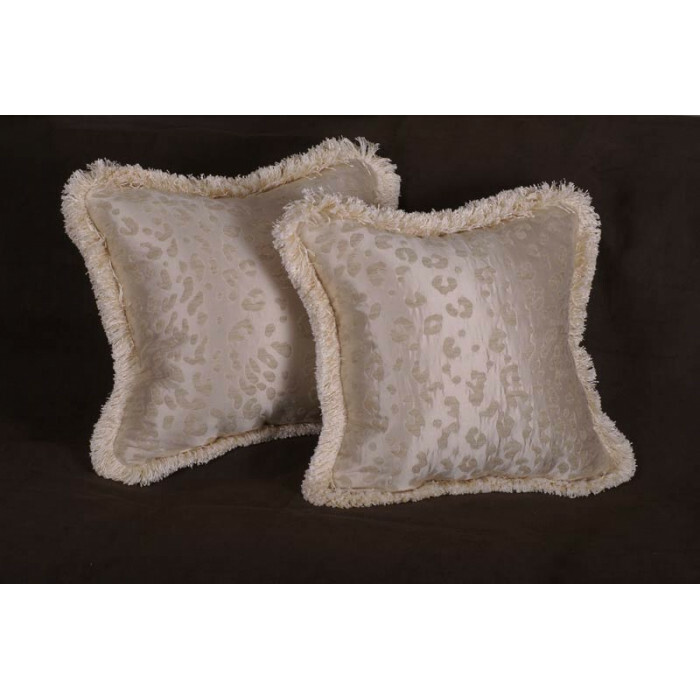 Select pillow size, trim and insert options above to personalize this extraordinary decorative pillow set. 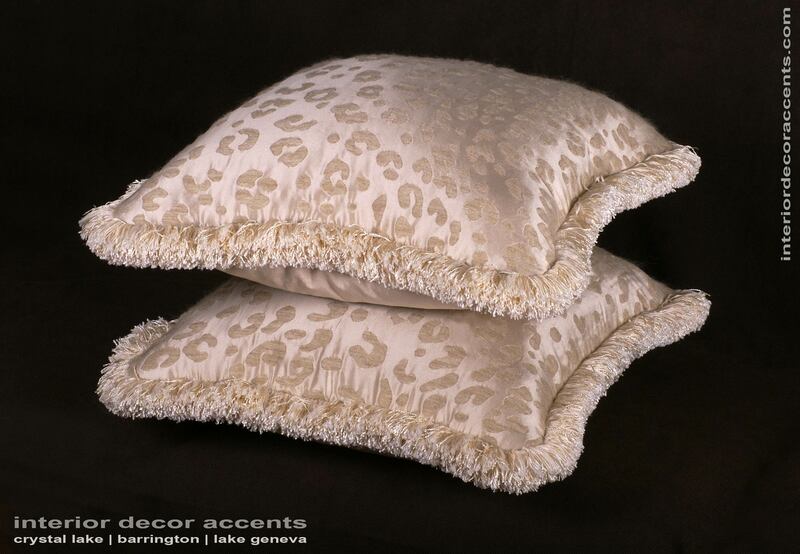 Pillows Size: From 16" x 20"